Solidarity in Grantham against the EDL this Saturday! This Saturday 22nd the EDL will be coming to Grantham in Lincolnshire. As happens everywhere they raise their heads, local people have organised themselves to oppose the racists. 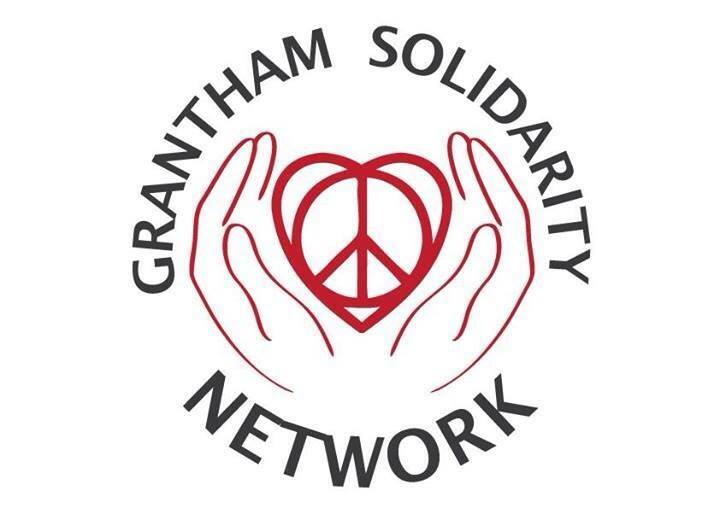 Grantham Solidarity Network is a group launched by local residents to oppose the EDL march. GSN are organising a peaceful counter-demonstration to the EDL. At time of writing, the latest news appears to be that the EDL demonstration will begin at around 1.30pm from the Blue Bull pub in Westgate. They will march to St Peter’s Hill where a static rally will take place. Meanwhile, GSN will hold a static meeting nearby in Avenue Road by Abbey Gardens at around 1pm. Please note this is different to the previously advertised counter demonstration details. The excuse for this week’s far-right pub crawl is a proposed Islamic Centre in Grantham. The planning application is due to go before South Kesteven District Council next month. This isn’t a national EDL demo and seeing as they only got a paltry 150 or so for a ‘national’ in Slough at the beginning of the month, we should not expect huge numbers in Grantham. However any racists at all marching down the High Street is unacceptable. Allowing racists to march unopposed signals to them that their ideas are accepted – it increases their confidence. It has been seen over and over that when the far-right are allowed to march and organise without opposition racist attacks and violence increase in tandem. This is why people across the country understand that it is vitally important to stand up and loudly show that Islamophobic bigotry is unacceptable. In January, the far-right ‘East Anglian Patriots’ held a demonstration in Lincoln against the proposed construction of a mosque. Locals in Lincoln were very successful despite threats and intimidation at organising a sizeble counter-protest. Let’s hope Grantham is as successful – showing that local people will mobilise wherever the EDL go and that their racism is accepted nowhere.